I had a pretty good idea what I wanted to write about today as I had meant to write it for the last week or so. Between soccer practices and classes and whatever life throws at you…the best laid plans of mice and men. Anyone who has been reading knows that myself and a bunch of friends would be running the Wild West Relay this summer. 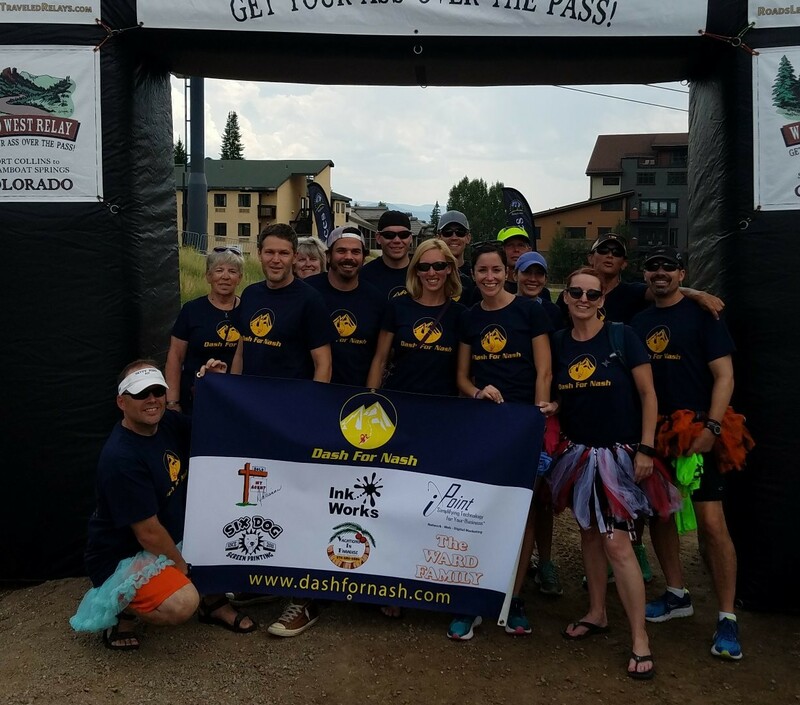 For those out of the know, it is a relay race between Fort Collins and Steamboat Springs amounting to 200 miles, thirty hours and blood, sweat and beers. I have said it before and I'll say it again, it's among the dumbest most fun activities that one can accomplish. I was one hundred percent sure that this would be the topic of this week’s post, but then today, and specifically, my eldest child Avery, happened. I’ll start with the race. We had a very good team this year and were running with a good cause (click here if you still want to contribute, hint hint). By very good team, it was fast, but it also was made up of great people, veterans and rookies and everything in between. I fall in both the veteran category for my experience with the race and rookie based on my ability. The race consists of twelve runners each running three legs of varying difficulty. The team is split into two vans that each run eighteen legs a piece. Our van has one really challenging set of legs only to be given the most experienced and talented of runners. Ours was a girl named Mary Alice. She is a spectacular runner and a ton of fun as well. Great on the road and in the van as well. As luck would have it, our A+ runner twisted her ankle just one mile into the relay. Ugh, disaster. She was able to finish her first and easiest leg, but lo and behold, she would be unable to run her two most difficult legs, certainly not for lack of trying. Long story short, I watched a team rally together. Each of the runners picked up miles here and there and Mary Alice continued to try to run what her body would let her do. At the end of the day, what I saw was my favorite running team I have been a part of. There is always a sense of camaraderie on these things, but what I witnessed was a group that refused to quit and did it all with an astonishing sense of humor and resolve. As luck would have it, the other van experienced the same sort of injury and the same sort of teamwork. In the end, we finished seventh in our division and number one in our hearts. Which brings me to Avery. 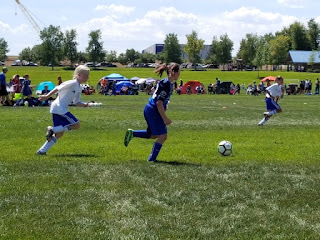 Today she played in day one of a soccer tournament, on day one of her season and the first game with a new team. She had every reason to be nervous and a lot of room for excuses. She wouldn’t need any. 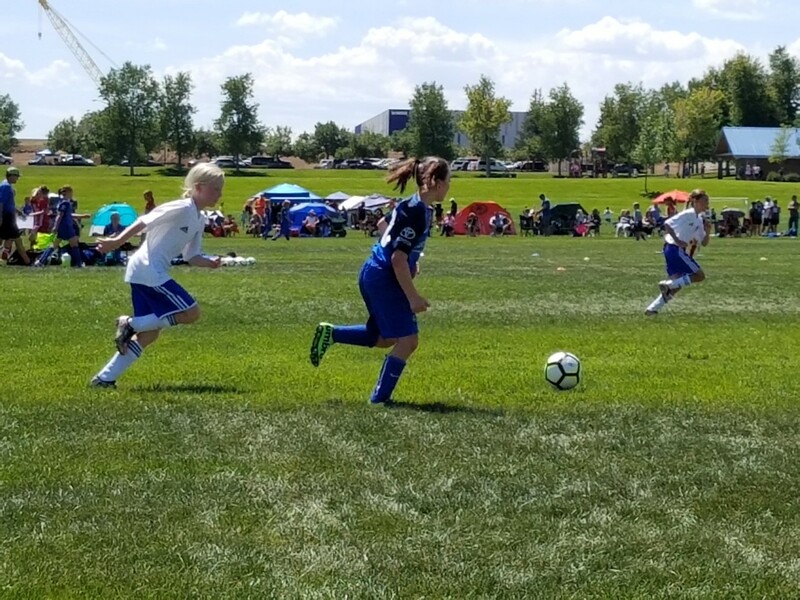 Her team was over-matched and the temperature sat just under 100 degrees. She didn’t start the game and occupied the bench for the first ten minutes. When she finally got in she showed a ton of hustle and played hard for the rest of the first half, never returning to the bench. It was clear that she was hot and tired as the half wound down. She started the second half and showed a ton of moxie as she maintained a high level of intensity despite the temperature. Over and over again the coach substituted players as they stopped pursuing opposing goal-scorers due to the heat and the overwhelming score deficit. Avery’s number was never called for substitution. She played the entire second half and hustled when necessary. She was very impressive. The team lost, sure, but they have just started playing together. They will get better. When the final whistle blew, Avery looked tired and disappointed in the score. She should have been proud. The lesson here girls. It’s one you have heard before. It applied to the running team and it applied to Avery in her game. Leave it all on the field. Try your heart out and you can pat yourself on the back when it’s all over. Yeah, you lost, so did we. But when all is said and done, I’ll take the girl who busts her tail until she can’t give any more. I’ll say it about Avery, I’ll say it about Mary Alice and I’ll say it about the rest of the teams both soccer and running. Winning is great. Winning feels amazing but nothing, and I mean nothing in the world of sports feels better than knowing that you had nothing left in the tank and nothing left to give when the final whistle blows or when you cross the finish line. Congratulations Avery and congratulations Tutus. Your dad and your teammate, in that order, couldn’t be prouder. 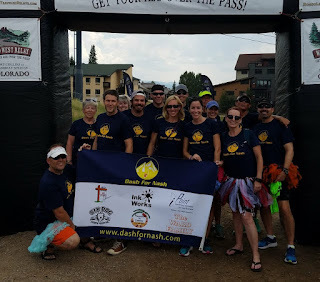 Over the next couple of weeks I will be mentioning local companies that sponsored our running team and Dash for Nash without hope for anything in return short of the warm feeling of helping someone in need. If you need the services they offer please consider the fact that they are a Northern Colorado company with local interests at heart. Thank you!